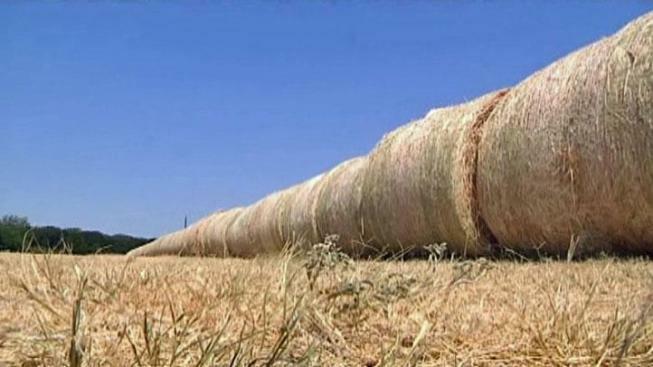 The American Society for the Prevention of the Cruelty to Animals announced a $250,000 "Hay Bale-Out" for Texas and Oklahoma. Both states have been hit hard by wildfires and drought this year, and have also been impacted by the high cost and low supply of quality hay. The Humane Society of North Texas is among the 24 equine welfare organizations and animal control agencies receiving the grant money to help feed horses and donkeys. "These funds will be used to purchase much needed hay, which will help HSNT feed and rehabilitate the increasing numbers of neglected equines we are seeing," Sandy Grambort of the HSNT said in a news release. "And it will help make a difference in the lives of North Texas equines and their owners as the effects of the drought continue to be realized."